The MESPAL group is responsible for the maintenance of the test facilities and cleanrooms at the LESIA laboratory, and provides services for testing and calibrating various instruments as well as AIT/V activities. AIT/AIV: Assembly, Integration and Tests/Verification for ground segment and space instruments as well as R&D activities. Test facilities: various thermal vacuum testing facilities, for space environment simulations, and climatic chambers. 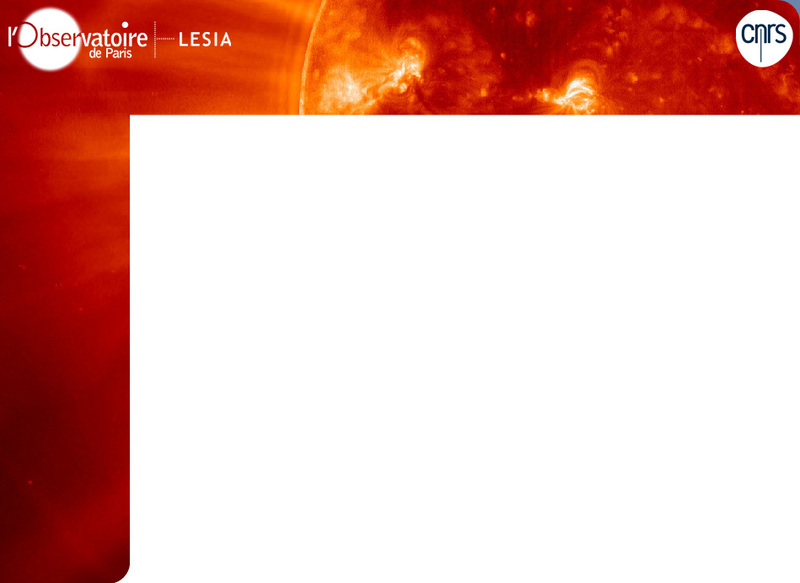 Solar instrumentation as part of the solar observations unit at LESIA including: the spectrograph of the solar tower, the spectroheliograph and the heliograph. Cleanrooms: 10 cleanrooms allocated over 250m², with cleanliness levels from ISO5 to ISO8, two cleanrooms are sterilizable for "Planetary Protection".